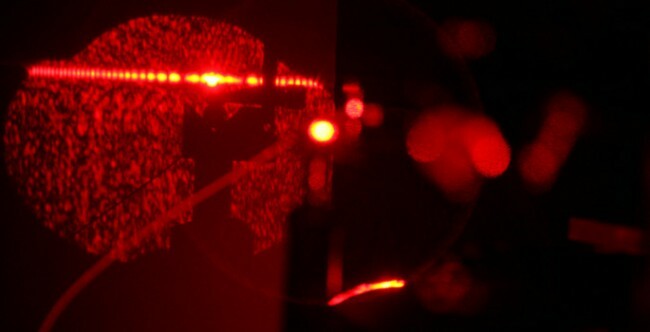 A new laser technique has demonstrated it can measure the interactions between proteins tangled in a cell’s membrane and a variety of other biological molecules. These extremely difficult measurements can aid the process of drug discovery. Scientists estimate that about 30 percent of the 7,000 proteins in a human cell reside in the cell’s membrane, and that these membrane proteins initiate 60 to 70 percent of the signals that control the operation of the cell’s molecular machinery. As a result, about half of the drugs currently on the market target membrane proteins. Despite their importance, they are difficult to study. Individual membrane proteins are extremely hard to purify, so scientists have very little structural information about them. In addition, existing methods to measure their activity have serious limitations. Most existing assays remove the membranes from their natural environment or modify them in a variety of different ways, such as attaching fluorescent labels, in order to analyze membrane protein activity. “In addition to being expensive and time-consuming, these modifications can affect the target membrane’s function in unpredictable ways,” said Vanderbilt Professor of Chemistry Darryl Bornhop, who developed the new technique. 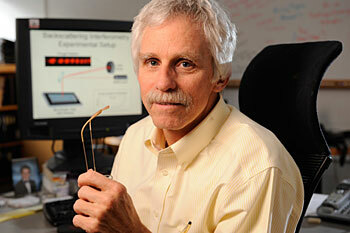 By contrast, in an article published online March 13 by the journal Nature Biotechnology, Bornhop’s research group and their collaborators at The Scripps Research Institute, report that the laser-based technique, called backscattering interferometry (BSI), can precisely measure the binding force between membrane proteins and both large and small molecules in a natural environment. “This is a powerful tool and a major advance in measuring membrane protein interactions,” said Lawrence Marnett, director of the Vanderbilt Institute of Chemical Biology. Marnett, who is also Mary Geddes Stahlman Professor of Cancer Research, was not involved in the study but is planning on collaborating with the Bornhop group. BSI is deceptively simple. 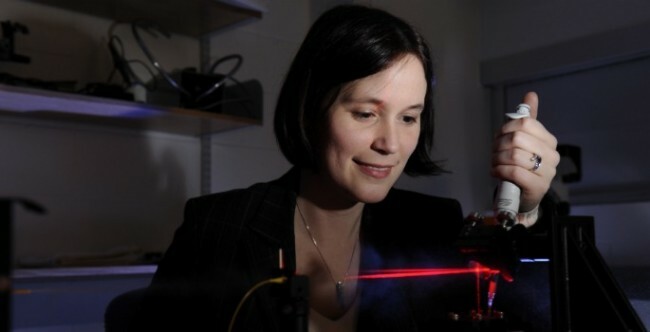 It measures the binding force between two molecules mixed in a microscopic liquid-filled chamber by shining a red laser like those used in barcode scanners through it. When the geometry of the chamber is correct, the laser produces an interference pattern that is very sensitive to what the molecules are doing. If the molecules begin sticking together, for example, the pattern begins to shift. In the new study, the researchers created synthetic membranes that contained a small protein, called GM1, that is a primary target that cholera toxins bind with in order to get into a cell. When they mixed these membranes with cholera toxin B, they measured a binding force consistent with that obtained by other methods. The researchers performed similar validation tests with naturally derived membranes and three membrane proteins, one associated with breast cancer, another associated with pain and inflammation and the neurotransmitter GABA known to aid in relaxation and sleep and to regulate anxiety. When they mixed the membranes containing each of these proteins with molecules known to bind with them, the BSI technique provided measurements that agreed with the values obtained by other methods, the scientists reported. Vanderbilt has applied for and received three patents on the process and has several other patents pending. The university has issued an exclusive license to develop the technology to Molecular Sensing, Inc. Bornhop is one of the founders of the start-up and serves as its chief scientist. 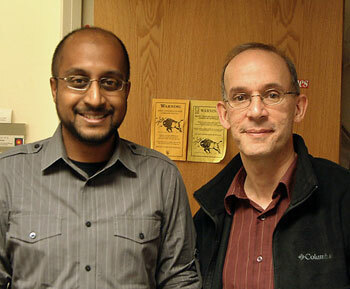 Vanderbilt research associate Amanda Kussrow and Michael Baksh, Mauro Mileni and M.G. Finn from The Scripps Research Institute contributed to the study, which was funded by awards from the National Institutes of Health, Joint Center for Innovative Membrane Protein Technologies and the Skaggs Institute for Chemical Biology.